Series 14 of this wonderful murder mystery starts out with a change for everyone. 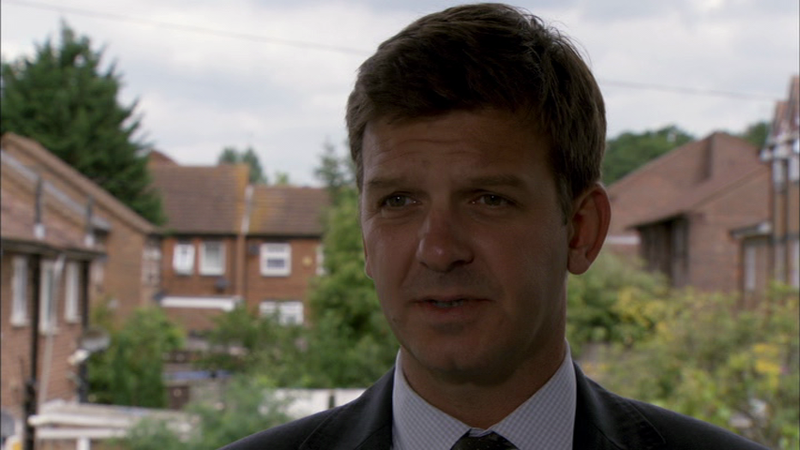 At the end of the final episode of the previous series, Fit for Murder, DCI Tom Barnaby says he wants to retire and he does. We enter into Series 14 with a new face of DCI John Barnaby. He is actually the cousin of Tom. When I say he is a new face that is not entirely true either. John Barnaby first shows up in the Series 13 episode The Sword of Guillaume and Tom Barnaby’s last episode Fit for Murder. Set 21 covers the first 4 episodes of the 14th Series, Death in the Slow Lane, Dark Secrets, Echoes of the Dead, and The Oblong Murders. Each episode is 93 minutes which really gives these episodes a lot of time to develop. The development of these episodes is not just confined to how the murder investigations play out. They also cover the arrival of John Barnaby as the new DCI. When we join Barnaby and Jones, Barnaby has been around for a little while and is just getting the hang of things. He is mostly observing and watching Jones to see how he handle different situations. It is clear from the start that Jones feels like he is more than ready to have been promoted to DCI and take over Tom Barnaby’s job. What I like about this is that this storyline is subtle but it is definitely there. He doesn’t understand his new DCI’s methods and is a little leery of him. It is also nice that even though Jones wanted to have that job, he is always professional and respectful to the new Barnaby. It becomes clear throughout their first episode together that there is a reason why Jones has not been promoted. He is simply not ready yet. Jones is very good at his job but he is not at the level of the new Barnaby. In fact it is interesting to watch the methods of either Barnaby cousins. 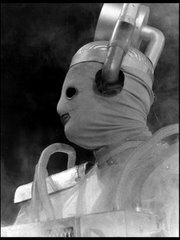 John Barnaby is by no means a carbon copy of Tom. They have different ways of handling their cases. In this set, John Barnaby is pretty impressive. 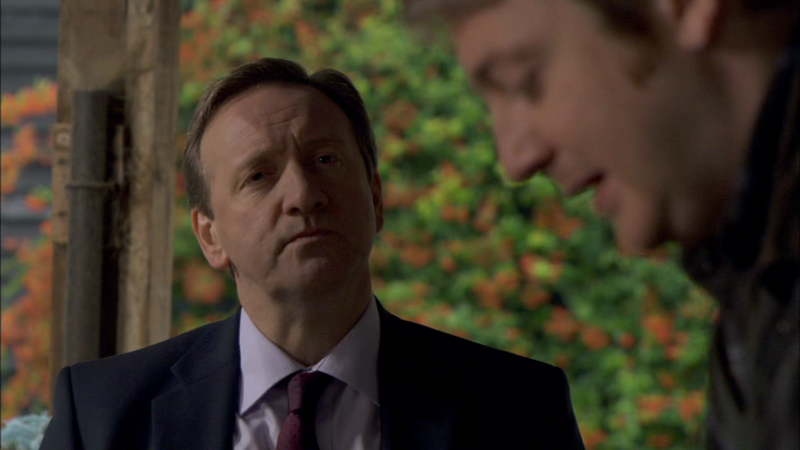 John is played by Neil Dudgeon who was previously in Life of Riley. He doesn’t look too far off from John Nettles. It looks like they have a passing resemblance which I like. I really found John Nettles engaging and personable in the role of Tom Barnaby and as I am someone who is afraid of change, was unsure how I was going to accept Neil playing John Barnaby. By the end of the first episode Death in the Slow Lane, I was hooked. This is a great start to the John Barnaby era. Like I mentioned above, there is a little tension between Barnaby and Jones but they have to investigate a murder at a school that is holding a classic car show. A young man is impaled by a car crank while some of the students in the school are up to no good. Once again, this episode has beautiful British country that surrounds the school. Students using their phones make a big part in how the episode unfolds. Students take pictures of everything but do they take too many pictures? We see John Barnaby in his new house. His wife works in education and she will be joining him soon. He soon has a lot of neighbors stopping by and welcoming him. John is not exactly a personable sort of guy. He may be polite but he really doesn’t want to visit people or have people visit him. Jones stops by at one point only to see Barnaby talking to himself. Of course he wasn’t, he was talking to his Jack Russell dog Sykes. 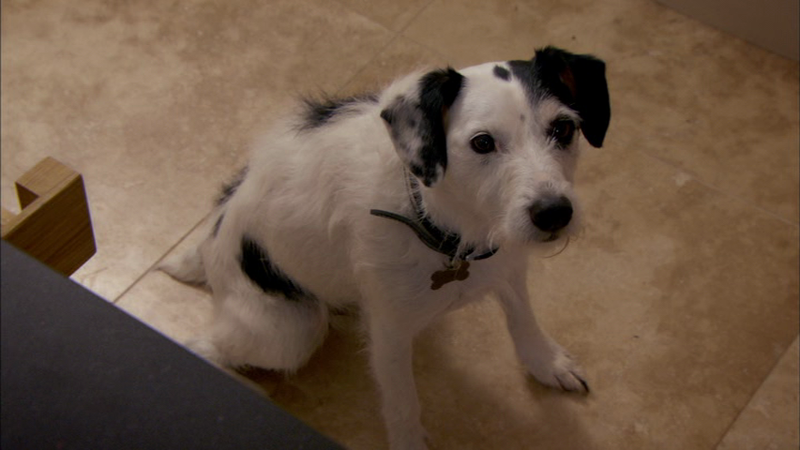 Sykes might be my favorite new character on Midsomer Murders. Guest stars in this episode include David Warner, Samantha Bond and Susan Engel. Everything I have seen Susan Engel in (Doctor Who: Stones of Blood, Armchair Thriller: Quiet as a Nun) she’s been a baddy. Is she one here? I love the setting of this big country manor that houses a reclusive couple named the Binghams. Their daughter Selina takes care of them while her husband Eddie runs the business. A social worker who tried to find out more about the reclusive couple is murdered. Barnaby and Jones need to investigate and figure out what is going on. What they uncover goes back over 30 years and truly do bring up dark secrets. There are some nasty concepts that happen in this episode which re-enforces why greed and corruption are bad things. In case you needed reminding. In this episode we meet Barnaby’s wife Sarah. She is a friendly nice person who is heading up a school. She is friendly while John is a little more distant. There is a great scene that when Jones meets Sarah, she remarks to him, “Please stop by whenever you want.” When Jones and Barnaby head to the car, Barnaby just nonchalantly says to Jones, “She didn’t mean it you know; you stopping by.” I love that line; it just makes Barnaby’s character more endearing. This is my favorite episode of the four in this set. This is another great episode that has a lot of different dimensions to it. Sometimes it is easy to see who the killer is but this was really well done. This episode features a serial killer. One who leaves notes written in lipstick. 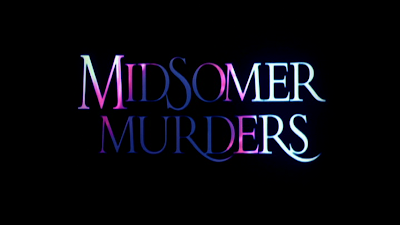 The murders become more gruesome as one person is even dismembered. This takes place in a small village where the people who live there have their own secrets including a peeping tom. It is an unsettling episode and plays really well from the backdrop of this quaint English village. This episode had me super tired for work one day as I started watching it way too late the night before and was up way past my bedtime. I just couldn’t stop watching it. There is also a storyline where Jones knows one of the people who is being questioned. He owns a pub but used to work as a police officer. His name is Matt Rowntree. Those two don’t get along at all. Guest cast in this episode include Ron Cook, Daisy Haggard, and Pam Ferris. This episode is probably my least favorite of this set. The story centers around a new-age cult that refuses to give any information about one of their member who has disappeared and no longer contacts her parents or for that manner anyone else. Barnaby sends Jones in undercover to see what is going on. The cult appears to be an affirmation sort of group. Trying to find your inner self while promoting free love. It is kind of an odd and unfocused sort of group. The group is headquartered in the house of one of the members who parents had died in a propane explosion accident on a boat. The episode feels out of place with the others and I found the characters not as interesting as in other episodes. I may go back and re-watch it to see if I will like it better the next time I watch it but I just didn’t connect with any of the characters. There is a nice storyline with Sykes as John and Sarah are trying to get him into this group of other dogs handled by Millie Bullard. 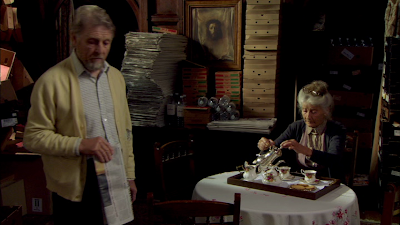 Millie is played by Barbara Flynn who I always find enjoyable in such series as Open All Hours and Cracker. She does a great job as a narrator in the documentary Windsor Castle: A Royal Year. A great documentary to check out. So there is still something redeeming and fun about the episode. There are none. I am not sure what could be included as an extra so a lack of any does not bother me. This set came out as a DVD and Blu Ray set. I was sent the DVD and not the Blu Ray but I thought the set looked great. I watched this both on my HD set run through my Blu Ray player and some episodes I just watched on my SD TV through a DVD player. What impressed me was how crisp the picture looked going through my HD set. The colors were vivid and the picture was highly detailed. Probably because it was shot in HD to begin with helped out the downconvert to DVD. If the DVD looks this good, the Blu Ray must be quite nice. Of course the episodes are 16:9. Each episode is in its own DVD slimline case and all 4 are housed in a larger box. The whole set is pretty compact and is a nice space saver. The covers match with the previous 20 sets of Barnaby (this time John) and his partner (this time Jones). I am one of those people who love continuity with long running releases so this appeals to strange people like me who must have all covers and packaging match. The menus are very simple and straight forward playing the distinctive theme music. Even though it is a murder mystery series, it is very comfortable. To people who like edgier crime-like series, this is not it. 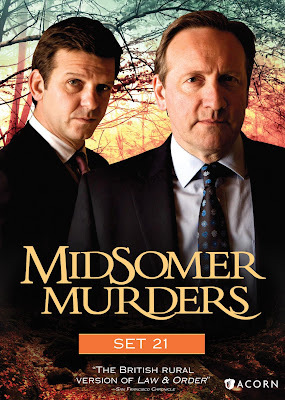 Of course there is a place for them but I love Midsomer Murders because it has character. It’s beautiful with likable people and intriguing mysteries. If you have not seen the series before, you don’t need to start at the beginning as it is very easy to follow. Looking at the information Acorn sent to me about this release, apparently Series 14 has not been broadcast anywhere in the US as of writing this review. That would be reason enough for me to pick it up. Upcoming DVD/Blu Ray Reviews: Doctor Who: Shada/More Than Thirty Years in the TARDIS, since I have just seen them possibly reviewing the two animated episodes of Doctor Who: The Reign of Terror, and Red Dwarf Series X Blu Ray. Later this month, I will be reviewing Agatha Christie Poirot and Marple Fan Favorites Collection where I am shocked about Murder on the Orient Express! This week: I look at some of the amazing series that made Gerry Anderson synonymous with Supermarionation. I pay tribute to Gerry Anderson and explain how Thunderbirds made such an impact on me in my adult life. Good, thorough review, Greg! I've been enjoying the Neil Dudgeon MIDSOMER MURDERS but to me, Dudgeon's John hasn't quite lived up to his promising debut story. He's certainly pleasant and shrew enough, but he lacks that slight edged of barely concealed contempt that John Nettles brought to his Barnaby. While it was a perhaps a bit cliched, I enjoyed seeing Jones go undercover in "The Oblong Murders," and thought his little "might have been" almost-romance with the pretty rich cult member a nice touch (as Jones is usually shown to be a loser in the girlfriend department). Agreed about Sykes, but am less sold on Barnaby's wife. I suppose it's hard to keep coming up with fresh murder mystery plots this far along in the series, but the show to me seems a bit tired. That said, I liked the newest episodes pretty well (especially "Death and the Divas"). Thanks for taking the time to write. I would agree that Jones going undercover in The Oblong Murders was the best part of the episode. I just felt pieces of it were sloppy such as Jones trying to really take care that he was hiding his phone but when speaking with Barnaby on it, he makes no attempts to hide himself and its in broad daylight! I also agree, from what I have seen, that the new Barnaby and his wife don't have the same chemistry as the last Barnaby. Granted, we saw 13 series of the prebious Barnaby's together. It is almost like a real marriage! Thank you again for writing and please do so again!